The Cunningham Panel™ is available worldwide. Healthcare practitioners licensed or authorized to order laboratory tests may order the Cunningham Panel™. Canadian practitioners can contact Moleculera Labs directly for information on ordering. Practitioners outside the U.S. and Canada can contact one of our partner laboratories that refer specimens to us: Academy of Nutritional Medicine (AONM) in the UK/Europe and NutriPATH in Australia. Dr. Madeleine Cunningham is an internationally recognized leader in Neuropsychiatric Disorders research and other infection-induced autoimmune disorders. For more than a decade, Dr. Cunningham and her team at the University of Oklahoma Health Sciences Center laboratory have been researching and developing a panel of tests that would assist physicians in diagnosing Neuropsychiatric Disorders. In 2013, the Cunningham Panel™ was introduced and made available through Moleculera Labs, a life science company co-founded by Dr. Cunningham and Dr. Craig Shimasaki. Since that time, testing has been prescribed by hundreds of clinicians and used at leading medical institutions, including the Lucile Packard Children’s Hospital at Stanford. The Cunningham Panel™ is available outside the United States. Canadian prescribers can contact Moleculera Labs directly. For prescribers outside the US and Canada, we have two partner laboratories that refer specimens to us: Academy of Nutritional Medicine (AONM) in the UK and NutriPATH in Australia. The Cunningham Panel™ assists clinicians in diagnosing autoimmune neuropsychiatric disorders. The purpose of the Cunningham Panel™ is to provide laboratory results that assist physicians in diagnosing infection-induced autoimmune neuropsychiatric disorders. The panel measures the level of circulating antibodies directed against antigens concentrated in the brain, and measures the ability of these and other autoantibodies to increase the activity of an enzyme (CaMKII) that upregulates neurotransmitters in the brain. The panel consists of five tests. Four of these tests provide results that are expressed as a titer, or final dilution, at which an endpoint reaction was observed on an Enzyme-Linked Immunosorbent Assay (ELISA) format. 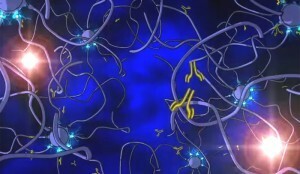 These tests measure circulating levels of autoantibodies directed against specific neuronal antigens, including: Dopamine D1 receptor (DRD1), Dopamine D2L receptor (DRD2L), Lysoganglioside GM1, and Tubulin. Autoimmune antibodies that bind to these targets may interfere or potentially lead to a blocking or stimulation of the function of these antigen. This, in turn, may trigger movement and neuropsychiatric disorders, along with OCD and abnormal neurologic behavior. The 5th test, CaM Kinase II (CaMKII, Calcium-dependent Calmodulin Protein Kinase II) activation, produces a laboratory value (expressed as a numeric score) that reflects the percent above or below baseline CaMKII activity in a human neuronal cell line. 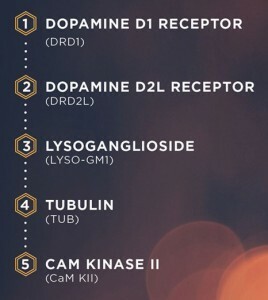 CaMKII is a key enzyme that is involved in the upregulation of many neurotransmitters such as dopamine. CaMKII is also understood to increase the “plasticity” or sensitivity and responsiveness of neurologic receptors to neurotransmitters. The collective results of the panel of five tests provide a current assessment as to the autoimmune and anti-neuronal status of the patient at the time of the blood draw. Because these are metabolic tests, the laboratory values may vary over time, with treatment, and in conjunction with the presence and absence of symptoms. Laboratory testing currently requires approximately 2-3 weeks. Once complete, the physician is provided a report containing the five test results, each compared to normal controls. The collective results can aid the physician in determining a proper diagnosis and supporting the appropriate therapy. At present, the Cunningham Panel™ does not include testing for infectious agents such as streptococcus or measure anti-streptococcal antibody titers. 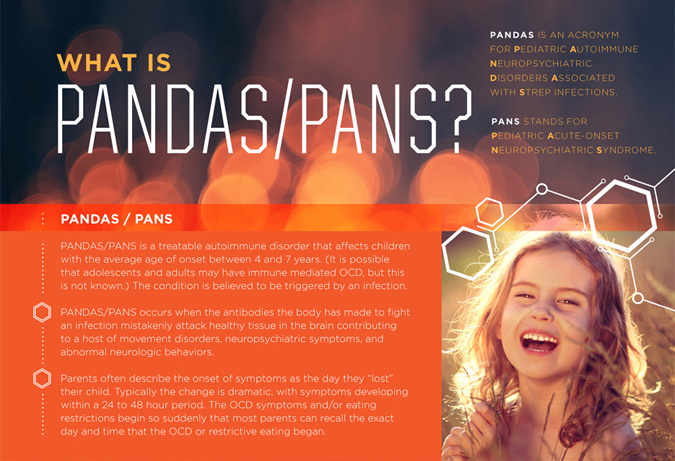 Our goal, at this time, is to assist the physician by determining if there are elevated anti-neuronal antibodies and neuronal cell activating antibodies circulating in the patient’s blood, rather than attempting to identify the infection associated with the autoimmune condition. The technology research that led to the Cunningham Panel™ is exclusively licensed from the University of Oklahoma. Moleculera Labs is based in the OU Research Park in Oklahoma City. The company is authorized to receive physician test orders from all 50 states in the U.S.
Prescribers in New York may order the Cunningham Panel™, however at this time, patients in New York must have their blood specimen drawn at a facility outside of New York state. (There may be cases in which a patient can have a New York facility perform the blood draw but that facility would need to request and receive an approved waiver directly from the NY State Department of Health.) Due to the complexity of these tests, it takes approximately 2-3 weeks to process a specimen and return results to the physician.